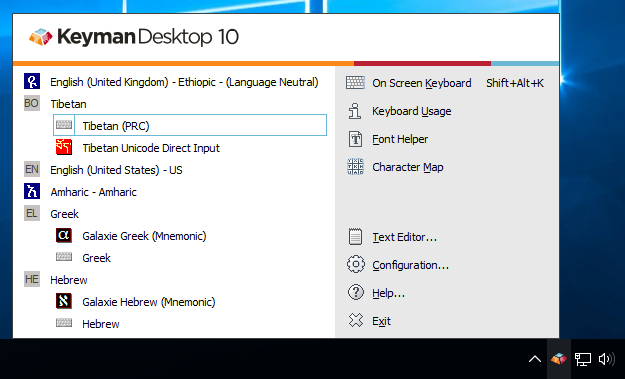 Open Keyman Configuration, from the Keyman menu (on the Windows Taskbar near the clock). Click OK to apply changes. 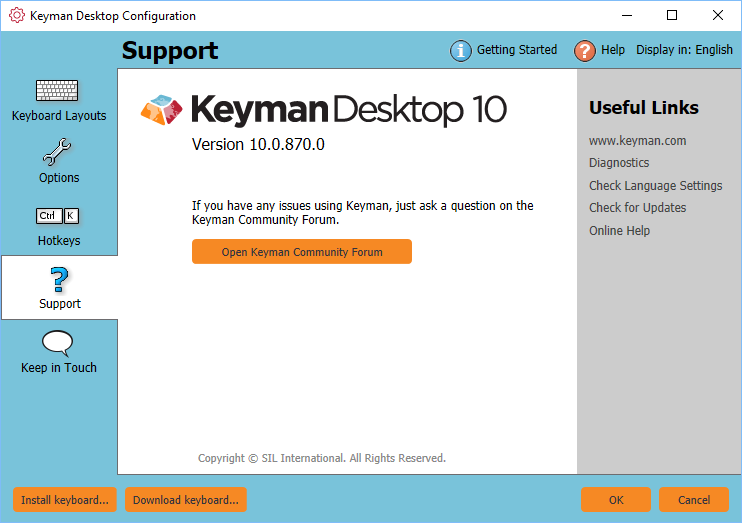 You can check for updates at any time by clicking 'Check for Updates…' from the Support tab of Keyman Configuration. 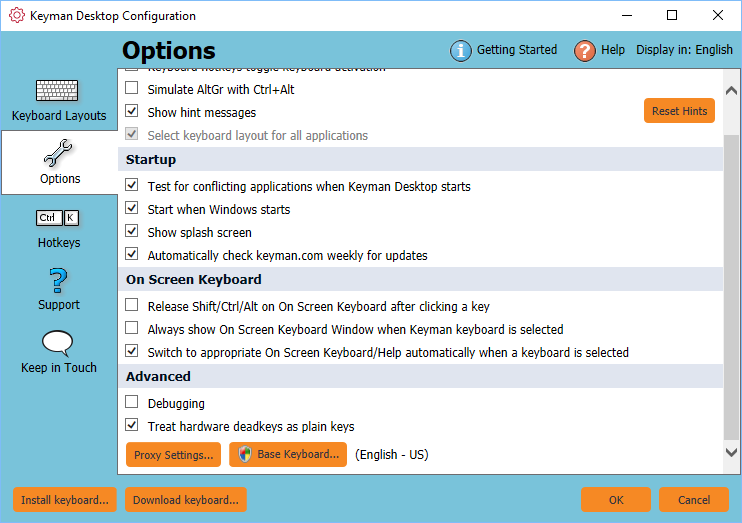 You can manually update Keyman Desktop at any time by downloading and installing it again from the Keyman Website.